Researchers identify potential “vaccination” against fake news | The Gettysburgian. Fake news, disseminated by sites that often mimic the appearance of authentic news sources, is becoming a major issue. Fake news sometimes have a political agenda; they sometimes utilize humor and satire in ways that could be construed as misleading. The rise in the importance of social media has propagated fake news, which can easily go viral and reach hundreds of thousands of people within days. Fake news can be confusing at best, and deadly at its worst. Case in point: in December 2016, a fake news story about Hillary Clinton leading a child-abuse ring at the pizzeria Comet Ping Pong in northwest Washington circulated on the Internet. North Carolina resident Edgar Welch who read the news story drove to the restaurant, armed with an AR-15 rifle, to investigate. Welch fired the rifle while inside of the restaurant. Although no one was harmed, someone could easily have been caught in the crosshairs of the shot. Fortunately, there may be a way to psychologically “vaccinate” news readers. Recently, scientists at the University of Cambridge published a study on an experiment to weed out fake news. 2,000 Americans who participated in the study were presented with two statements about climate change. 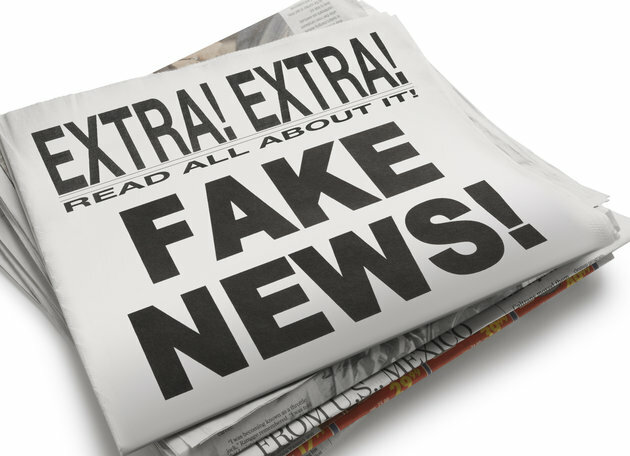 The researchers found that although fake news presented directly after legitimate news confused the participants, the fake news was less influential when small amounts were mixed in with real news. Essentially, the fake news can be viewed as a metaphorical “virus,” that is capable of spreading and replicating. By exposing people to a weak version of the virus – the small amounts of fake news – we can “vaccinate” them from being susceptible to fake news stories that they might come across in the future. Hopefully, by pre-warning readers, we can work towards stopping fake news in its tracks.